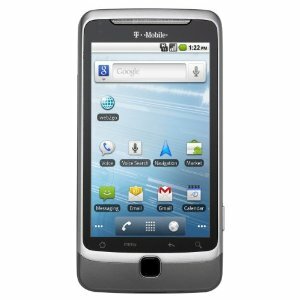 I’m a fan of my new T-Mobile G2. I waited until it became close to free with contract, and that makes it even more satisfying, but it’s not without a few annoyances. One of the problems I’ve noticed is that the home screen on the G2 won’t rotate if the phone is shifted into horizontal orientation, even though most apps will rotate. Home screen rotation is one feature that you can add by picking a third-party Android app launcher. There’s a rundown of the three leading contenders over at Lifehacker, but in my opinion LauncherPro is the simplest choice of the three. I’ve been using it for a few days now and it’s very interesting. I like that my home screen will automatically rotate now as well – it makes the fact that the phone likes to shift into the wrong orientation very often slightly less annoying. I’ve hidden apps that I can’t uninstall but don’t want to have to see, either. I think I’m going to pay the $2.99 for the full version, it’s so impressive. The reason I selected LauncherPro is that it looked the most interesting, and could be installed on my non-rooted phone. I’m exploring what my phone can do from the factory before I modify it, and I haven’t quite reached the limits. So, if you’re looking to make the home screen rotate…or just in general make it easier to launch apps, go with that one. This entry was posted in Commentary, Gadgets and tagged android app launcher, g2 auto-rotate, home screen won't rotate, launcherpro, t-mobile g2. Bookmark the permalink.